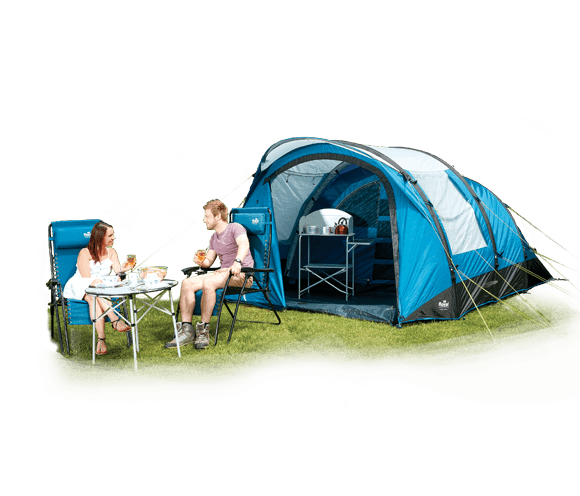 The Portland Air 4 Person Tent uses air technology to create an enjoyable camping experience. 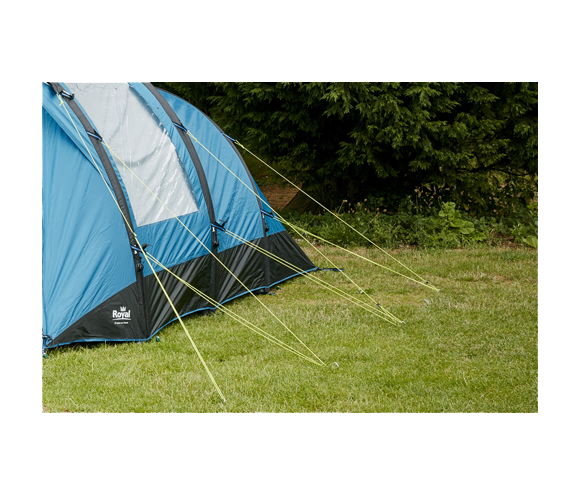 With a 10cm air system with individual inflation points, as well as reflective guy ropes, tie down straps, pegs, pump and ladder bands included in the purchase, this tent is designed to ensure a quick and easy setup. 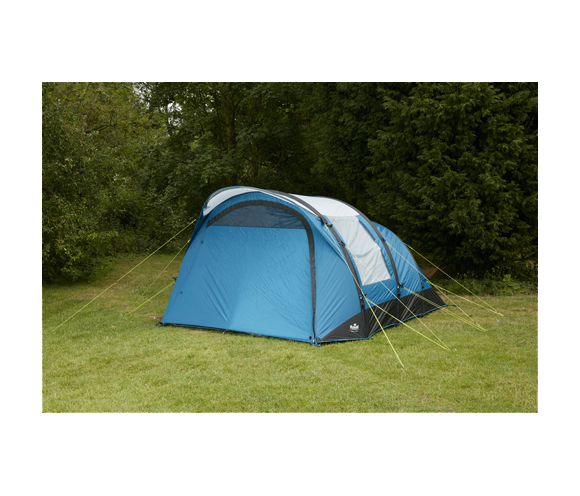 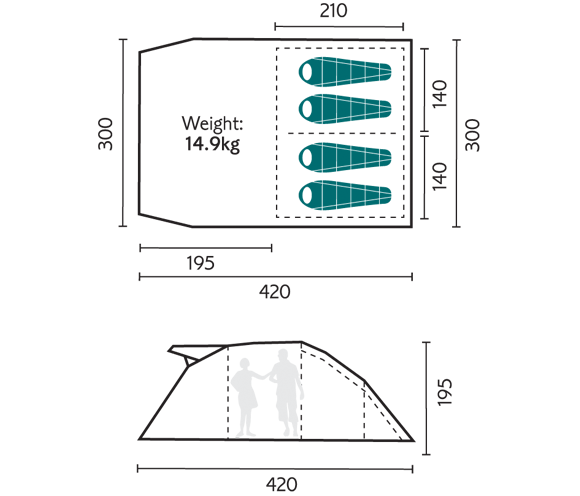 The tent is made with a flame retardant 185T polyester flysheet with protected zips and taped seams to ensure it is protected from wear and tear. 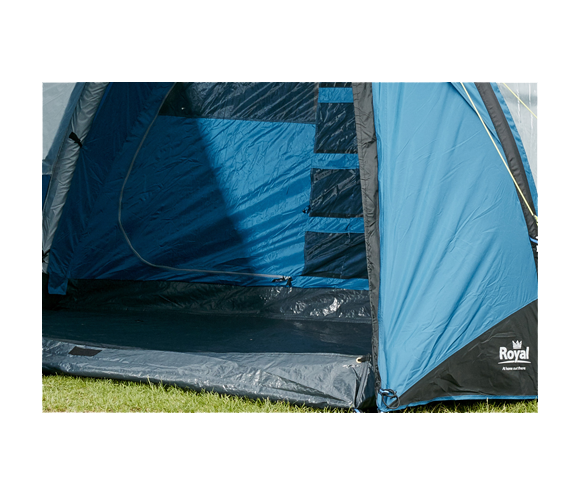 It also has a high waterproof column of 3000mm hydrostatic head. 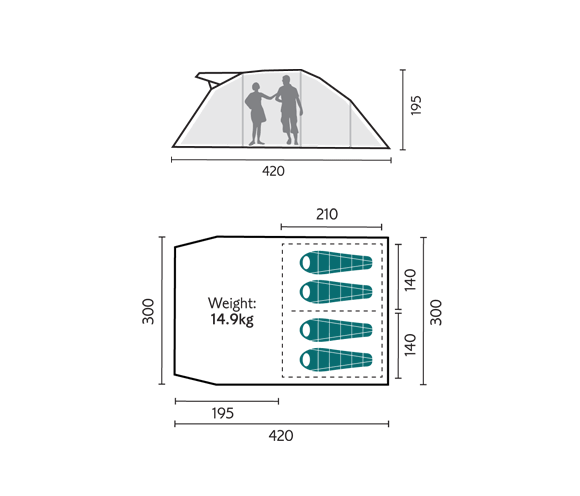 To bring in plenty of light, it has large windows for enhanced visibility.